IT products are at the heart of our financial and logistics systems, and support critical infrastructure, health, education and welfare systems. IT products are critical to research and innovation, economic competitiveness and Australia’s future social and economic prosperity. The internet has transformed the Australian economy over the past 20 years, and is poised to play an even greater role in daily life as Australia’s engagement with the global digital economy broadens and deepens. According to a 2011 Deloitte Access Economics report, the internet made a direct contribution of approximately $50 billion – or 3.6 per cent of Australia’s Gross Domestic Product – to the Australian economy in 2010, a contribution of similar value to the retail sector or Australia’s iron ore exports. The direct contribution of the internet is forecast to increase by another $20 billion to roughly $70 billion by 2016. 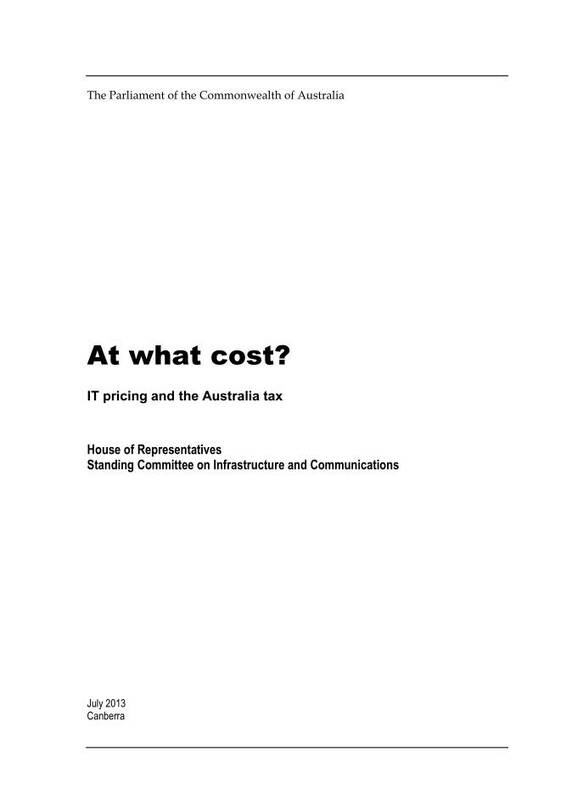 Posted in Asia Pacific, Business Intelligence, Communications, Digital Economy, Digital Media, Federal, Financial Services, Governance, Information, Services Industry and tagged Australian Economy, Critical Infrastructure, Deloitte Access Economics, direct contribution, economic competitiveness, economic prosperity, education system, financial system, GDP, global digital economy, Gross Domestic Product, health system, House of Representatives, House of Reps, IT pricing, IT products, logistics system, research and innovation, social prosperity, welfare system.